I bought this in the Urban Outfitters sale about a month ago. It was only £18, which is quite reasonable for UO prices. I can never justify the price of their clothes until they're on sale, although it is one of my favourite shops! 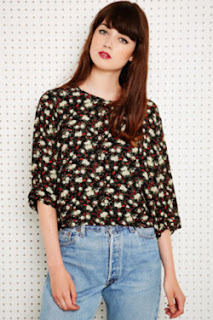 This black top has a floral print with cream and red flowers. I was drawn to the print straight away - I started loving floral prints in Summer and it's continued throughout Autumn and Winter. I never owned anything floral, and I always went for plain tops, but I love things like this now. Last time I wore this I paired it with black skinnies and boots to go to Winchester's Christmas Market (look out for a post on that soon!). When I saw this Christmas jumper I knew I had to have it! 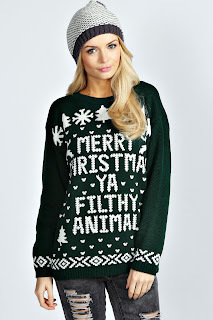 I featured it on my blog, in my Christmas Jumper Edit post. I'm a massive fan of Home Alone so I snapped it up quickly! It's from boohoo.com and is £15. It's available in black, bottle, red, silver and wine, although the bottle colour is close to being sold out! I've had lots of compliments on this already but many cheaper versions have popped up in other stores. My mum has bought the silver one for much less money. I wore this to Christmas at Kew and felt very Christmassy. What A/W essentials are you lusting after this month? Let me know in the comments! 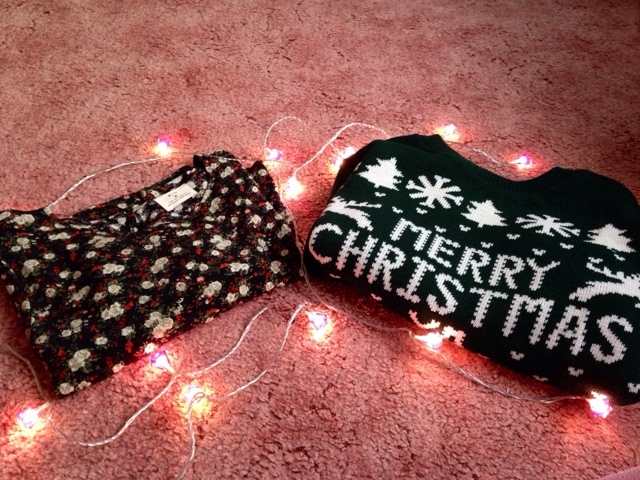 i love the home alone sweater, so festive and cute! looks like it'd be super cozy as well!